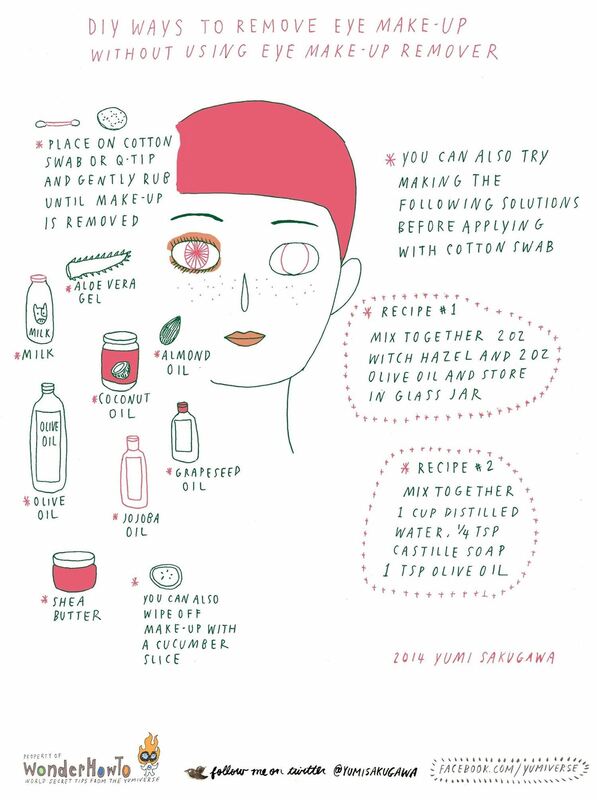 Most oils work great for removing eye makeup from your eyelids. You can choose from almond oil, jojoba oil, coconut oil, olive oil, and grapeseed oil. You can also wipe off eye makeup with a cucumber slice or wipe gently with cotton swab soaked in milk. For people who find oils to be too greasy for removing eye makeup, you can also try making a solution out of witch hazel and olive oil, or a more watery solution made out of distilled water, Castille soap, and olive oil.